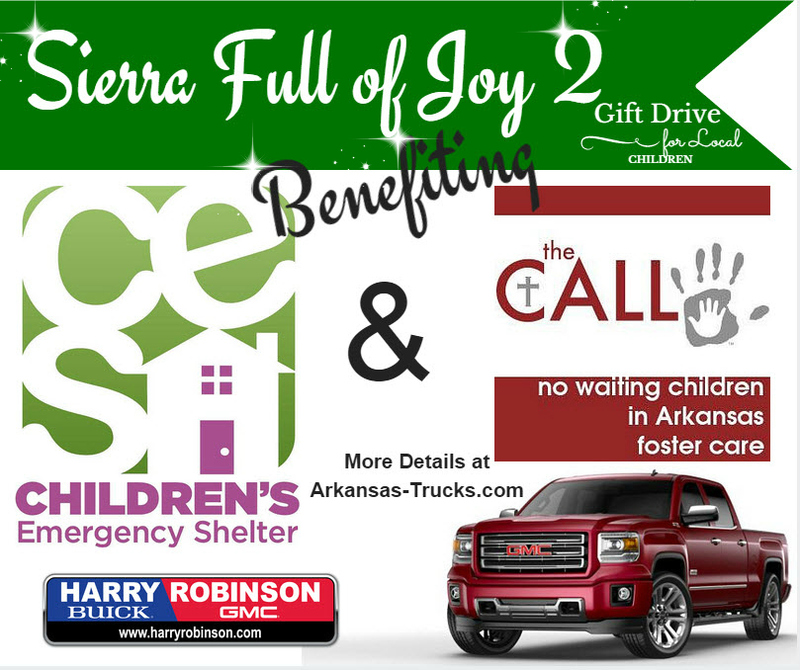 This year for Sierra Full of Joy we are collecting gifts for the children of The CALL & The Children’s Emergency Shelter. Sierra Full of Joy is our yearly donation drive. Last year was our first year, and it was a huge success. We have a GMC Sierra sitting on the showroom floor waiting to be filled with donations. 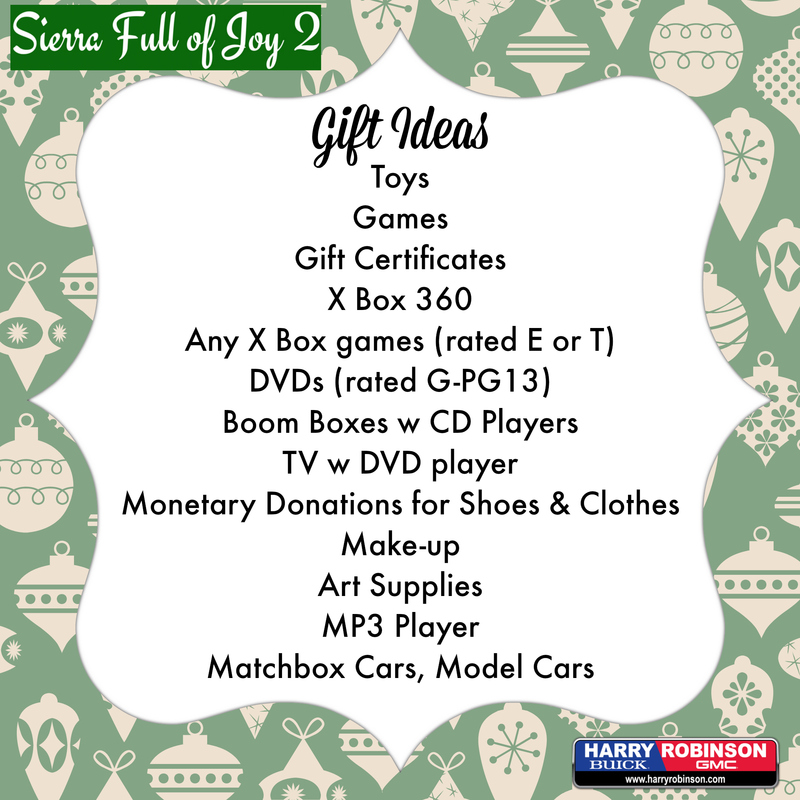 The reason we started Sierra Full of Joy is to help real local people who may not otherwise be able to have a great Christmas. It’s our goal to blow the socks off these kids with awesomeness this Christmas! We will be hosting a kick-off event Thursday, November 6th at Harry Robinson Buick GMC (6000 S 36th Street, Fort Smith) Please come out and join us for some amazing desserts & to give a donation. The Sierra will be displayed and you can bring donations throughout the month of November. There will also be a jar for monetary donations & gift cards as well. Please help the kids of The CALL & Children’s Emergency Shelter have the best Christmas! Here’s a list of some gift ideas. If you have any questions feel free to call or email Cathy. 479-646-8600 or cathyn@harryrobinson.com.